We all know the legal cannabis industry is growing quickly. With this comes a challenge, when a new market becomes competitive and regulated there will be those that survive and those that don’t. The difference in many cases is having professional cannabis business standard operating procedures. Those who are adapting to regulation changes, compiling them into cannabis standard operating procedures (SOPs) and implementing them correctly, are sure to come out ahead. Cannabis standard operating procedures are a must in this industry, being organized and informed is key to any business. Higher Yields Cannabis Consulting can help your business create, organize, and implement your cannabis SOPs. NEED HELP WITH CANNABIS SOPs? If you have any questions regarding our Standard Operating Procedures, or any of our other services, don’t hesitate to contact us using the form below. One of our employees will contact you within 1 business day. WHAT ARE CANNABIS STANDARD OPERATING PROCEDURES? Standard Operating Procedures improve a business’s work environment by following necessary cannabis processing and procedures to move things along more effectively and efficiently. It’s necessary to utilize cannabis standard operating procedures (SOPs) to ensure every individual within the business is on the same page from proper cannabis cash handling to implementing proper employee documentation. Higher Yields Consulting helps create and implement proper standard operating procedures (SOPs) that conform to the current regulations, so cannabis business operations run smoothly. Whether you are a cannabis tech writer, cannabis consultant, grow consulting company, cannabis extraction consultant, or a dispensary consulting company, Higher Yields Consulting will guide any cannabis business into creating cannabis SOPs. Each cannabis business is different and has a different set of challenges and cannabis processing procedures. Understanding the type of standard operating procedures you need is essential for your business to succeed in compliance with regulations. Below, we have the basic formula to get started on creating a cannabis standard operating procedure. 1) Finding the right individual to write cannabis standard operating procedures for your cannabis business whether you are a cannabis extraction consultant, cannabis consultant, grow consulting company or a dispensary consulting company. It’s necessary to find an expert technical writer, cannabis consultant, cannabis extraction consultant, grow consulting company or dispensary consulting company that can create step-by-step, in-depth standard operating procedures in accordance with the law if you don’t have the expertise or time to do it yourself. 2) Discovering the audience to whom the Cannabis Standard Operating Procedures (SOPs) documentation is directed toward. Whether you find a cannabis consultant, cannabis extraction consultant, grow consulting company or dispensary consulting company, it’s necessary to have them write for the intended audience. In writing the documentation, it helps to keep in mind who you are writing to. Not every business will have the same SOPs documentation as each business has a set of different procedures. 3) Create easy-to-read SOPs outlining every cannabis process and procedure in any type of business. 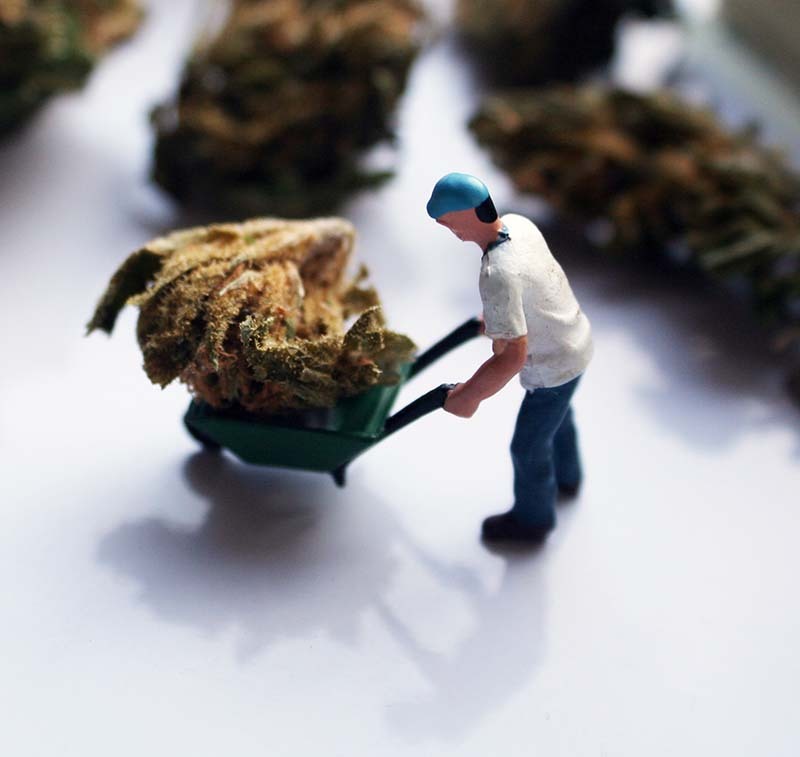 As you create SOPs, it’s important to outline the cannabis processing and steps to complete specific tasks so that everyone involved can easily implement them. The procedures must be easily read and understood to fully operate a cultivation, dispensary, extraction or grow business efficiently. A comprehensive cannabis standard operating procedure will reduce future complications and help facilitate growth in the business. 4) The cannabis standard operating procedures must include important safety information. The SOPs must contain safety, health, and emergency procedures for employee and work environment security. The procedures must also include supply procedures and accurate cautionary handling of equipment. When a cannabis business has proper equipment handling procedures, it will lessen the likely of violating any regulation and harming individuals. This is especially important for businesses who work in cannabis testing facilities as employees handle hazardous materials. In addition, safety precautions will ensure you stay in business for a long time, but it’s even more important to have security measures in your standard operating procedures. 5) Although safety is important, SOPs must also contain cannabis security procedures and processes. Any standard operating procedure isn’t complete without having to consider security measures. In the cannabis industry, it’s extremely necessary to thoroughly lock down all assets and secure the facility or business. As a cannabis company grows, so does its assets and inventory. Each SOP must include how to work the electronic security alarms as well as including security procedures if the business is being robbed or experiencing any other emergency. In addition to having security measures, the SOPs must have proper cannabis cash handling procedures for employees to follow regarding cash transactions. Cash can easily be misplaced and stolen, so it’s important to pinpoint each area the cash will be located, whether in a safe or in a cash register. It’s also necessary to keep a financial record of what the amount of cash is at in any given time. Proper cannabis cash handling procedures are to keep accurate cannabis processing at optimum levels. Not only does each team member need to know the proper cannabis cash handling procedures, it’s important each person understands the marketing, sales, and customer service procedure in order to maintain a consistent positive consumer experience. The documentation can include proper employee documentation from training manuals to a step by step guide in any area they’ll operate in. Integrating proper employee documentation is one of the most important factors to include in your cannabis SOPs for overall cannabis processing. These cannabis standard operating procedures are the basic factors to include within the documentation. However, there’s much more to these basic factors aside from cannabis cash handing to cannabis security procedures that must be included in your cannabis standard operating procedures. Whether you’re looking to find a cannabis consultant, cannabis extraction consultant, dispensary consulting company, or grow consulting company, Higher Yields Cannabis Consulting can help you create a detailed SOPs that fit your type of business and fits your specific local and state government regulations. Discover your next cannabis consultant, cannabis extraction consultant, dispensary consulting company or grow consulting company by contacting Higher Yields Cannabis Consulting today.